Happy Friday my link party friends! Hope you are enjoying your December and looking forward to the upcoming New Year. At our home last minute Christmas preparations are happening, especially planning our dinner menu. What special meal do you have for holidays? There is no Pinterest Party next week. Merry Christmas! Friday is here again my friends! It's time for our weekly link party and I can't wait to see what people share this week. Thanks for visiting our link party this week! I'm excited to see what you great bloggers share today. December is here and we had our first snowfall this week. I love the stillness of the world when fresh snow blankets the ground. I'm not ready for such cold weather yet though! It's this time of year I miss living in South Carolina, where we could visit the beach the week of Christmas. There is lots of beauty here in Utah though with the lovely mountains. 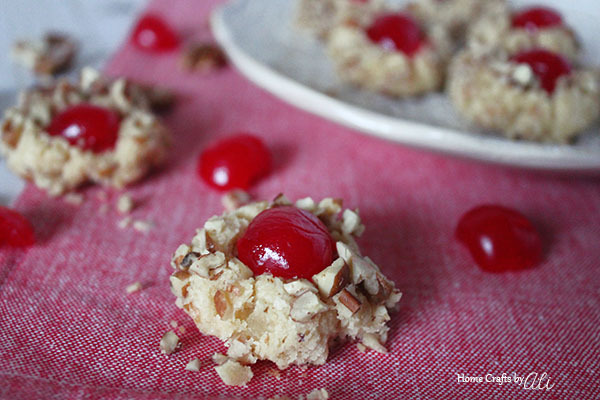 Try these buttery smooth cookies surrounded by crunchy pecans and filled with a cherry half. My recipe for Thumbprint Cookies with Cherries is sure to please this holiday season. I love to drive out in the country to see the seasons changing. 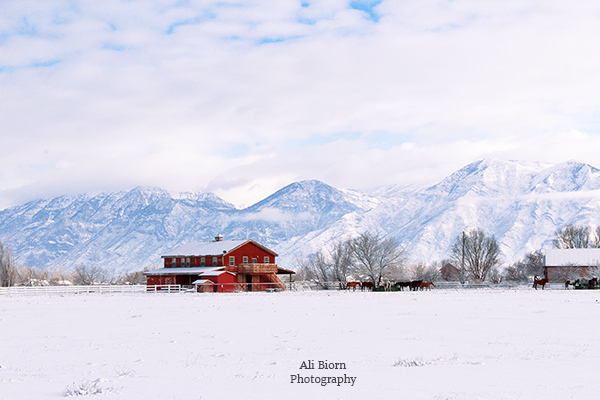 When I saw this bright red barn against a field of snow and the mountains, I had to stop and take in the beauty of the scene. 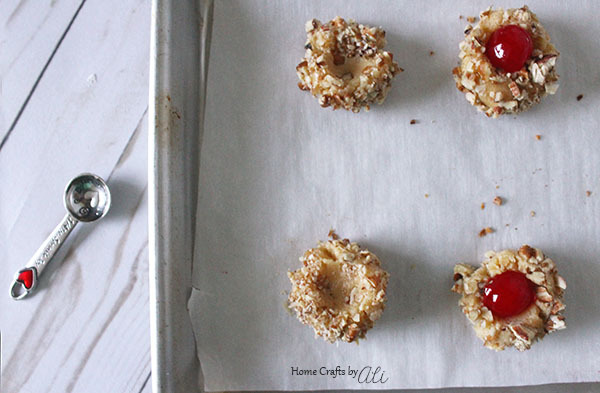 Thumbprint cookies are such a nice holiday treat! These cookies are buttery and almost melt in your mouth. The chopped pecans covering the cookie add a nice little crunchy texture. Traditional thumbprint cookies are topped with jam, but in my family we always use a maraschino cherry. Every Christmas when I was growing up, we would make these cookies. I've continued that tradition with my own family.